Though macho/sensitive Spenser continues to wallow in self-pity about estranged girlfriend Susan (Dashiell Hammett would gag), this new case--#11 in the series--offers a slightly more textured plot than recent outings. . . even if the basic ingredients (religious cult, drugs) are standard-issue. Tommy Banks, director of a small Boston dance company, claims that girlfriend/dancer Sherry has been abducted by the Reorganized Church of the Redemption. So Spenser visits the Church compound, roughs up some Church "deacons," trails the Church kingpin to a fancy Boston pad--and winds up convinced, after seeing Sherry, that she's a voluntary cult enthusiast. 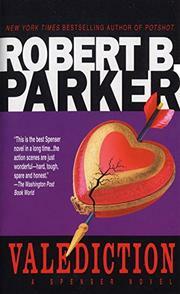 But, now convinced that the cult is a shady operation, Spenser determines to expose its dirty doings. ("I couldn't take her away from the church, but maybe I could take the church away from her.") He quickly bares the laundered-money connection between the Church and a heroin-trafficker; he uses the Church leader's confession to nail the heroin mastermind--while handily killing a quartet of nasty assassins. Eventually, however, Spenser realizes that he's been overlooking the real mastermind: an unsurprising yet fairly satisfying revelation. Largely humorless, drippy whenever Susan or new-love Linda is concerned ("I clung to her as if I clung to earth")--but fast and tidy, with a few promising echoes of the early, vastly superior Spenser novels.